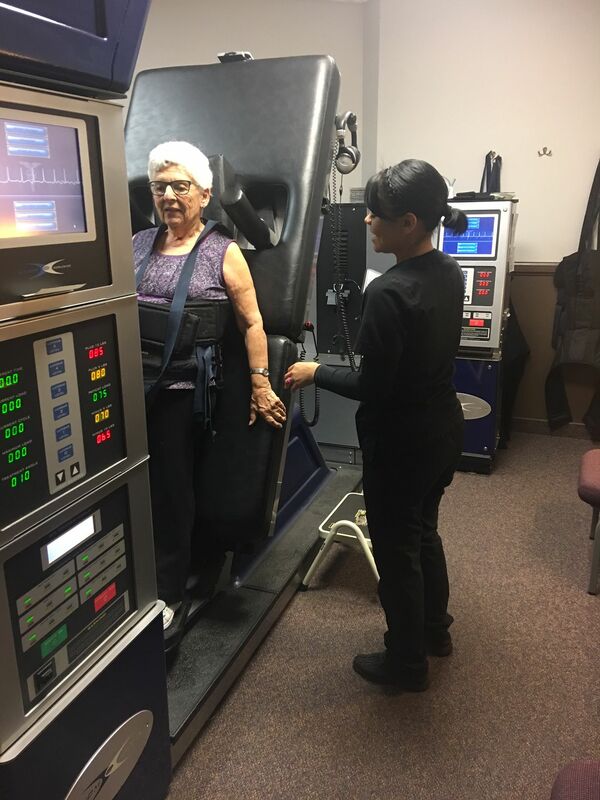 The DRX9000C™ was designed by a specialized team of engineers to meet the needs of today's patient, offering patients the latest cutting-edge technology to improve the quality of life for those suffering from herniated discs, degenerative disc disease and other back ailments. At Gonstead Physical Medicine, we are dedicated to improving the health and function of our patients. We do this by combining traditional chiropractic care with state-of-the-art technology to deliver an unprecedented level of service. Our results speak for themselves. In the past, a patient suffering from disc problems usually was given pain medications, instructed to refrain from physical activities, referred for physical therapy, and when they weren’t progressing they were sent for spinal surgery. Conservative chiropractic care proved very helpful in most cases, but there have been some cases when surgery seemed to be the only other option… until now. Today, you don't have to live with that pain anymore. Thanks to the concerted efforts of a team of top physicians and medical engineers, the DRX9000C was developed to effectively treat lower back and neck pain which may radiate into the leg and/or arm as well as sciatica, resulting from herniated or degenerative discs. The DRX9000C not only significantly reduces these painful conditions in many patients, but also enables the majority of patients to return to more active lifestyles. Does the DRX9000C™ really work? nce its release in 2001, clinical studies have revealed an amazing success rate in treating lumbar disc related problems with the DRX9000C. The DRX9000C uses state of the art technology to apply a painless distraction force to relieve nerve compression. It creates a vacuum type phenomenon that helps the protruding disc retract into its normal position. The treatment is so comfortable and relaxing that most patients fall asleep as the treatment occurs. CALL TODAY AT 602-973-1630 or CLICK HERE TO SCHEDULE A FREE CONSULTATION!